This tutorial is extracted from the online video course “Get Started with GIS and Create Web Maps”. If you want to learn GIS from scratch, you can get the full course at a discount here. We make maps because we want to send out a message. Putting your spatial data on a web map as opposed to an offline map has the great advantage of having your map be seen and your message sent to a much wider audience. You can just spread out the URL of your web map and have people explore your beautiful maps. 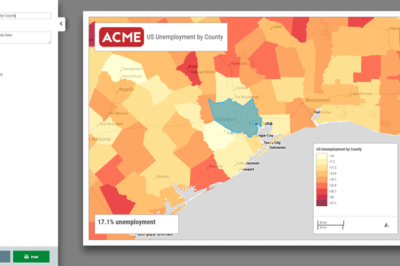 Even though web mapping is tightly related to programming and it has a learning curve, there are tools out there which you can use to make interactive maps quite easy. 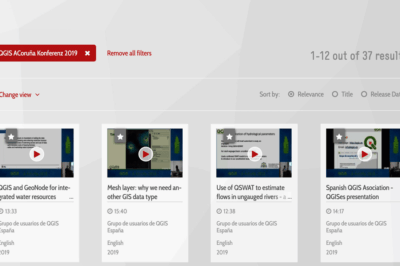 In this tutorial we will use qgis2web. Data: We will use this point shapefile to map out supermarket locations and this polygon shapefile which contains population data on a block group level. 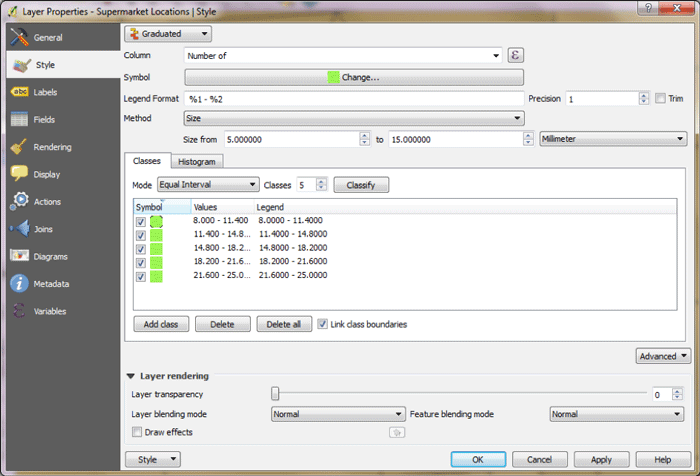 Software: We will use qgis2web which is a plugin of the QGIS software. You should first install the latest version of QGIS. 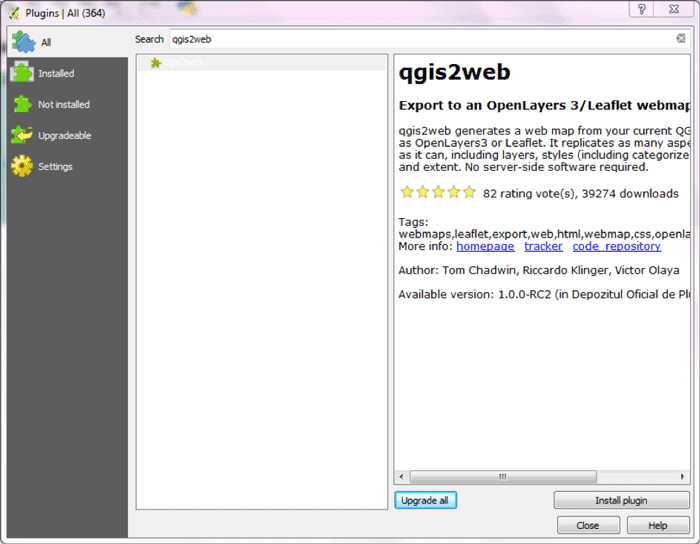 Once you do that go ahead and install the qgis2web plugin from inside QGIS. To do that, that, start QGIS and go to Plugins –> Manage and Install Plugins… Then search for qgis2web and click Install plugin. The shapefiles have a default style for now and they don’t convey any information. So, let’s stylize them. 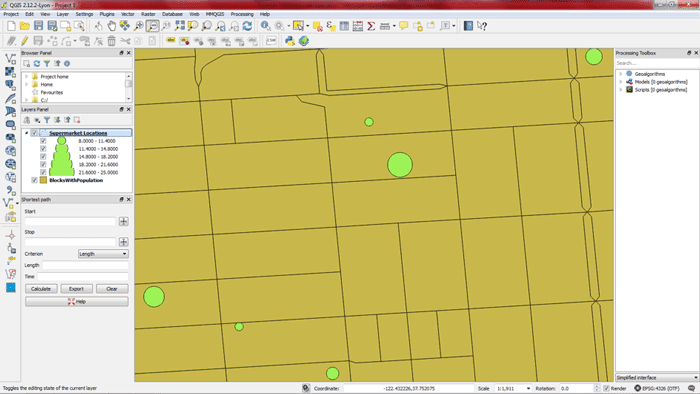 First, make sure the point shapefile is above the polygon shapefile in the Layers Panel, otherwise the polygons will cover the points and you will not be able to see them. 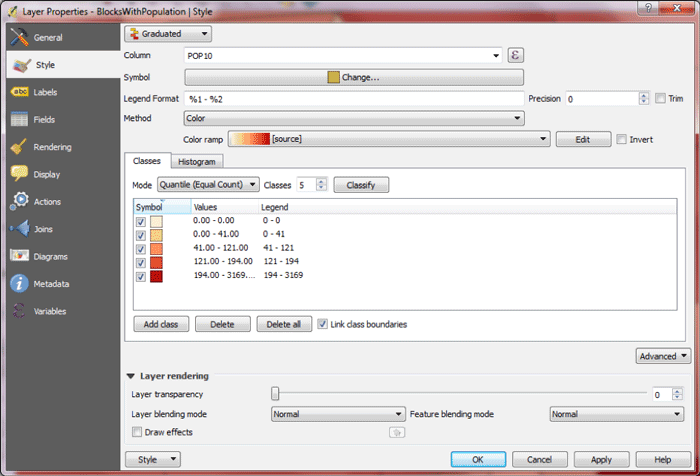 You should now change the style of the polygons so that they represent the population count for each block group. If you want to publish this map online, you would need to get a web hosting account and simply upload the index.html file and the three associated folders to the main public html directory. 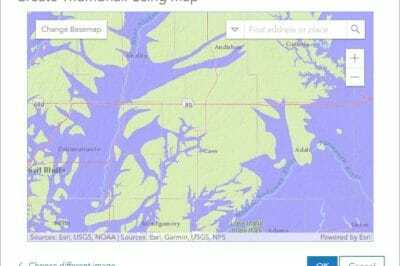 Visiting the URL of your website would then show the map you see in the first image in this article. Ardit Sulce, GIS and Python Expert is the founder of PythonHow.com. Sulce offers a course on Udemy called “Get Started with GIS and Create Web Maps” which is available to readers of GIS Lounge for a discount.